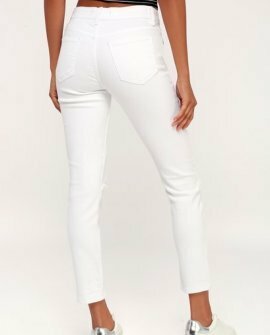 The Mia White Distressed Skinny Jeans are cool, calm, and collected! 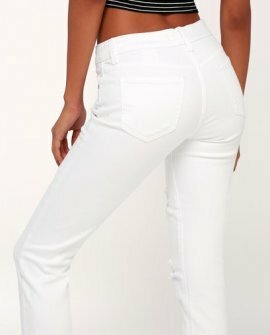 Chic white denim has a slightly stretchy, relaxed feel from a mid-rise cut (with belt loops) down tapered pant legs. 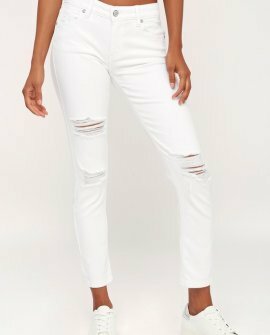 Jeans feature distressing throughout. Five-pocket styling, hidden zip fly, and top button closure.